Hello everyone.. Just picked up a 2010 Lexus RX350 Sport Edition. Black on Black. The color wasn't my first choice, but I just couldn't say no to all the options. I am hoping to learn as much as I can about car care tips for black cars or find a really good detailing shop that knows what they are doing. Any recco's and advice are appreciated. 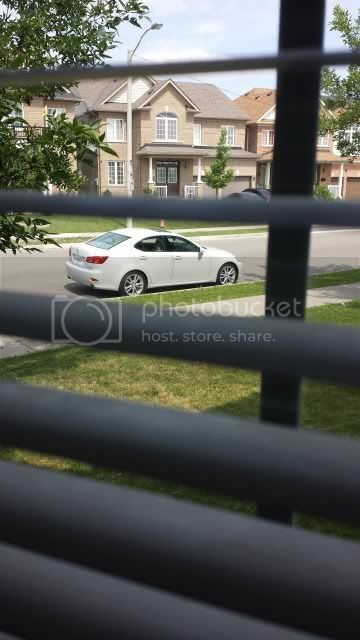 Brampton, 2008 IS250AWD, Starfire Pearl. Have seen many of the same colour at the local GO train station - drop me a line if you're one of them! - mods: JoeZ intake, DIY modified F-style lower intake box, Catch Can. Coming real soon: BC shocks with Swift springs. Soon after, pending "CFO" approval: upgrade to larger wheels. whats up IS owners! a bunch of us guys from the IS group on fb are starting an IS group for the GTA area and planning on starting up weekly or bi weekly meets. send me a message on Facebook if you are interested. Is there any Lexus meets in GTA? if not lets have on when the weather is nicer! I own a 2003 IS300 and 2007 Is 350 both in grey. Any meet ups planned at all? spotted a silver 2nd gen gs300 in mississauga around winston & dundas a couple of weeks ago in the evening. looked lowered with a windshield banner. anyone on here? 2006 350 from oakville! Mods: vertex lip kit, full exhaust, intake, JIC coils on Gold TE37. 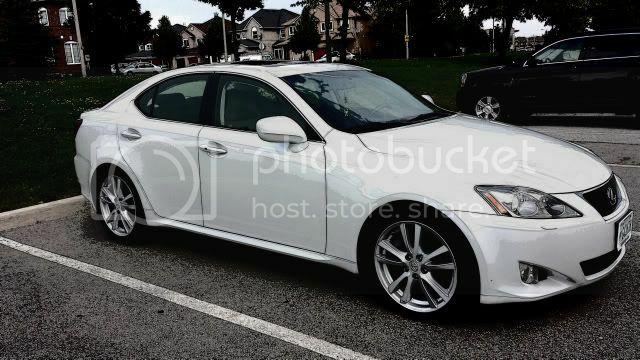 looking for some Lexus meets this spring hopefully! New here, don't own a lexus anymore but I have a used transmission for a 1990 LS400 that was parted out after a rear end accident. What's the going rate for one of these?